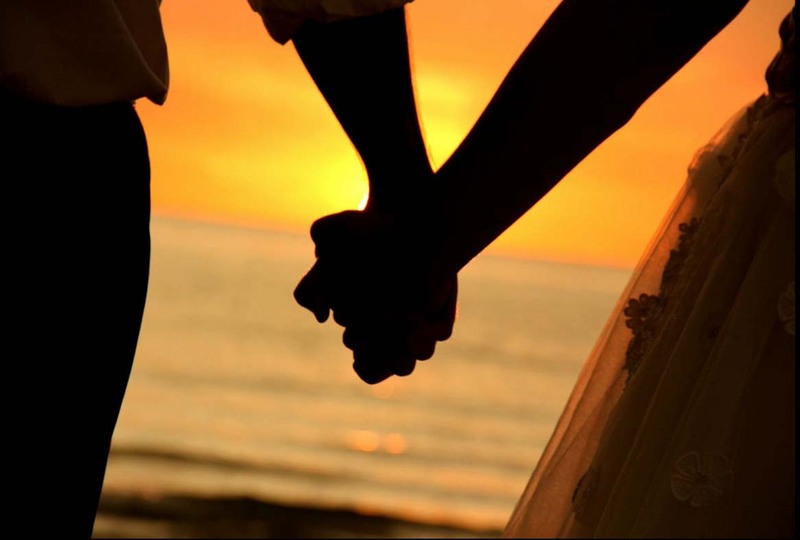 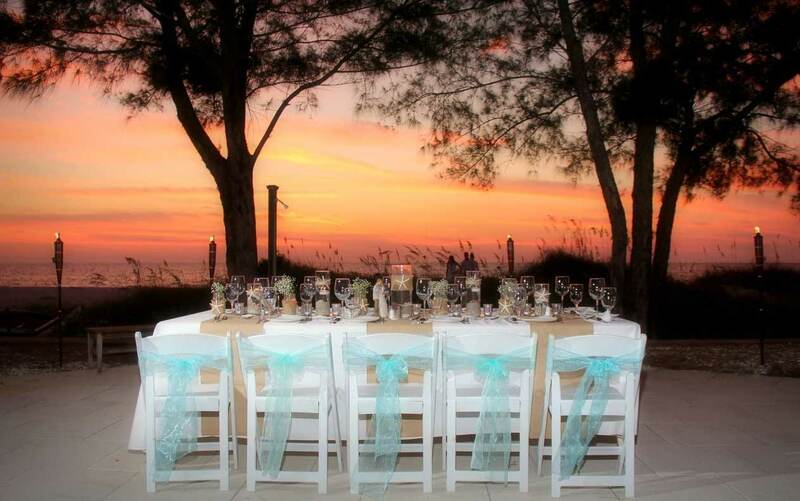 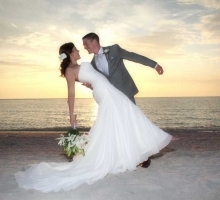 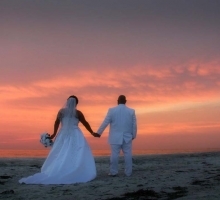 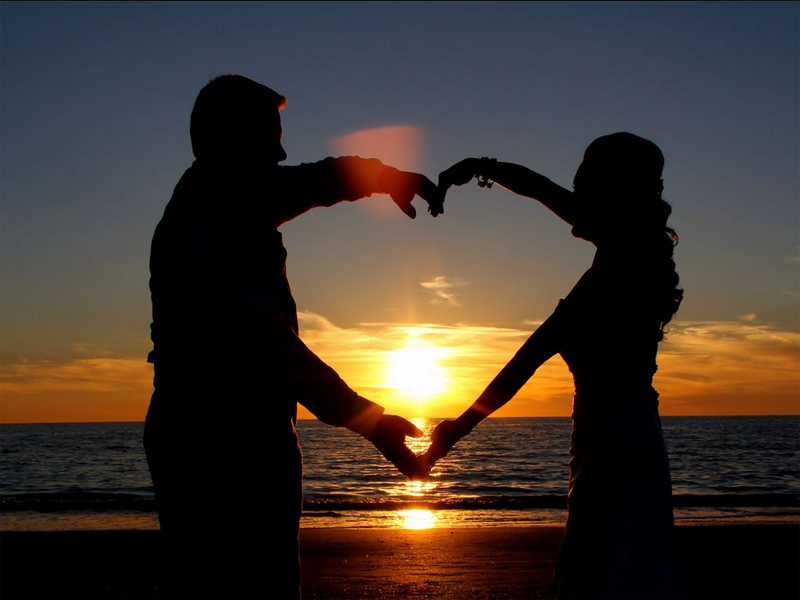 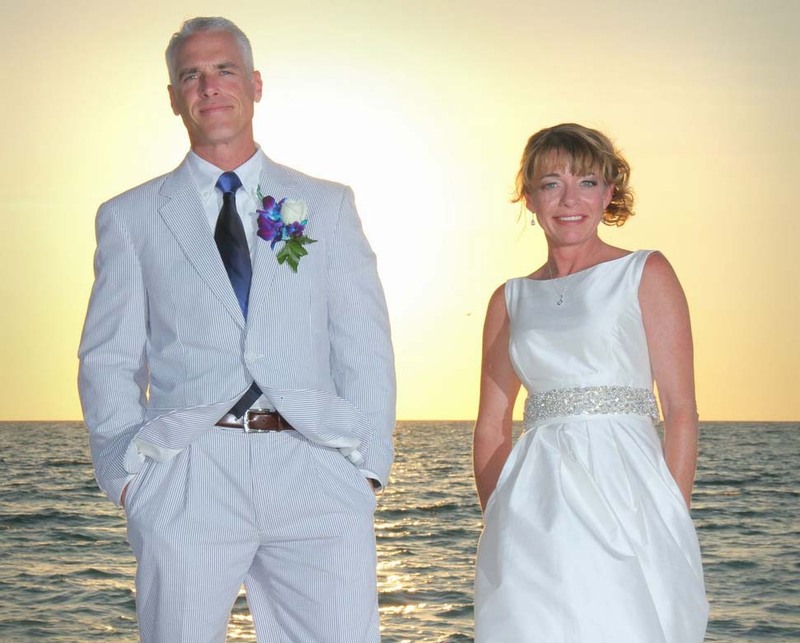 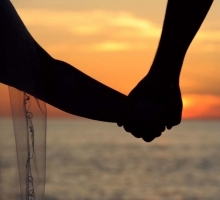 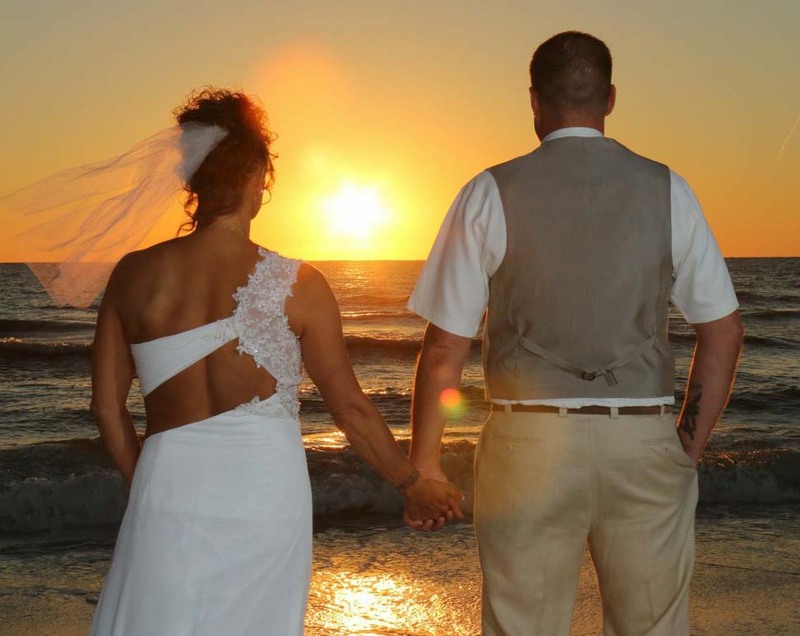 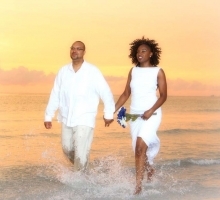 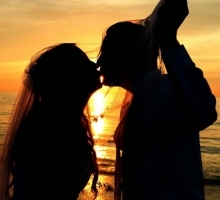 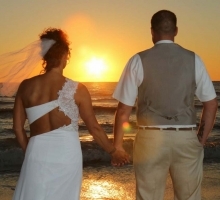 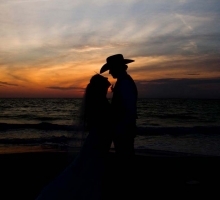 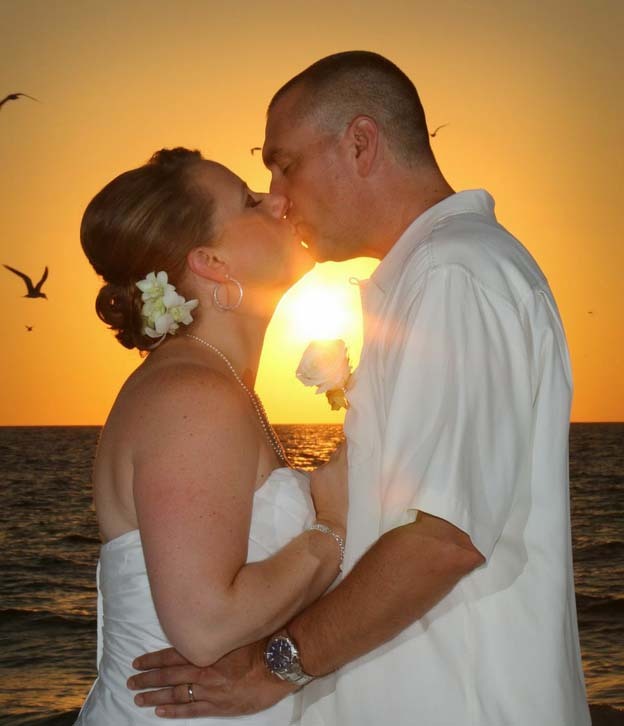 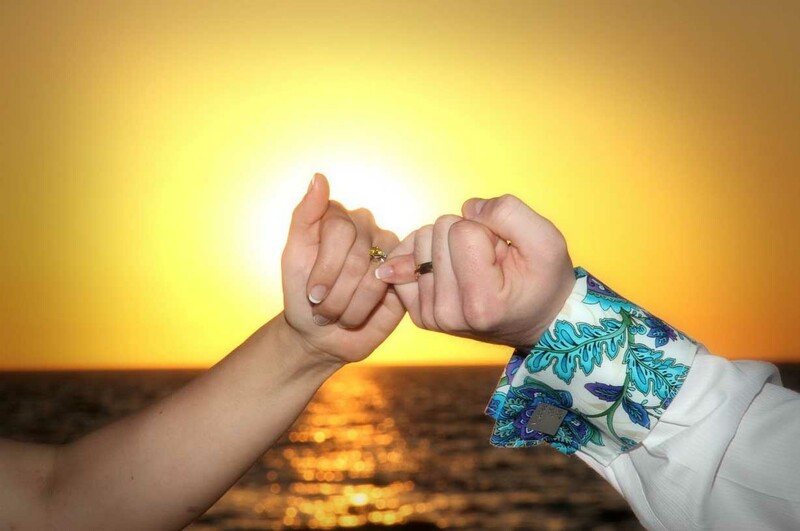 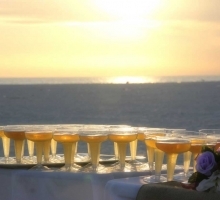 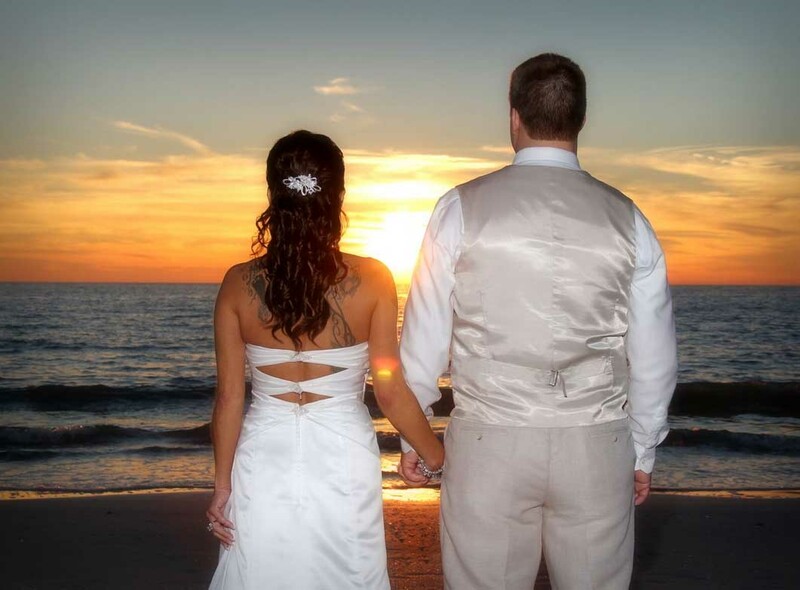 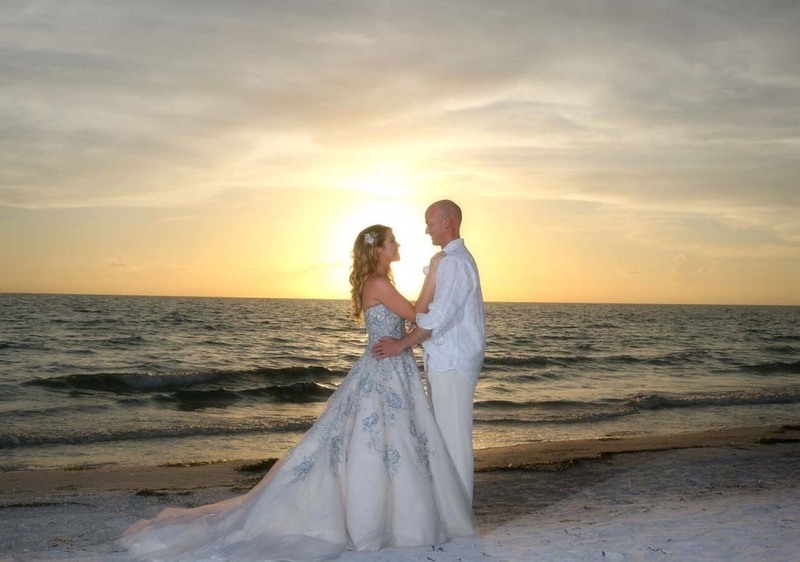 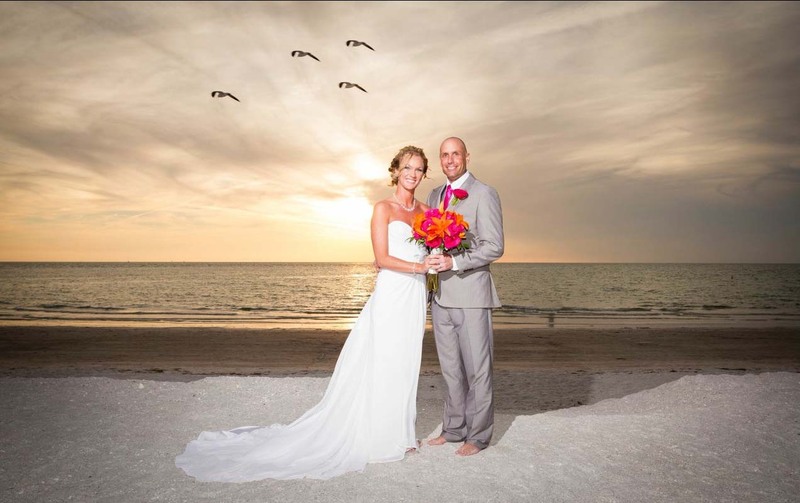 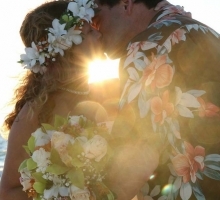 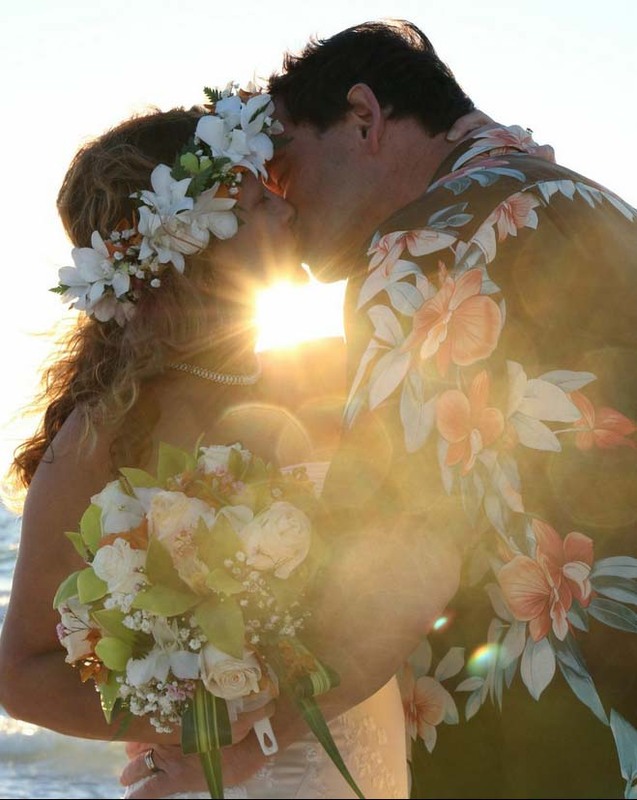 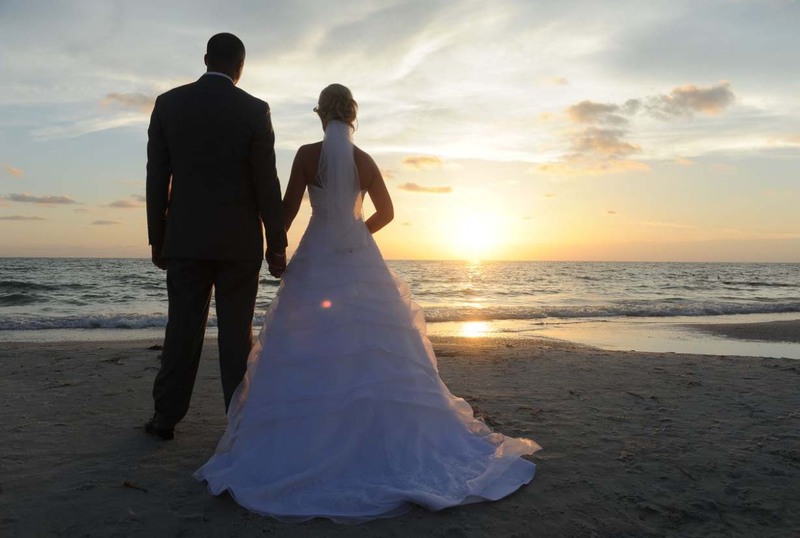 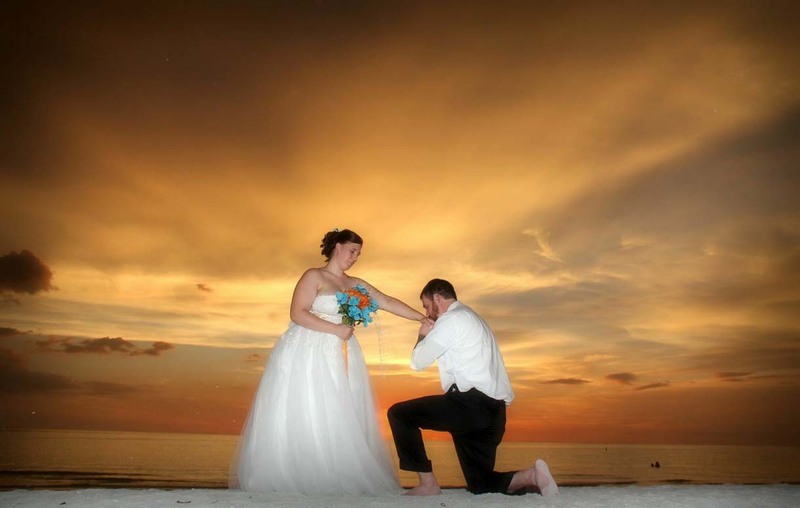 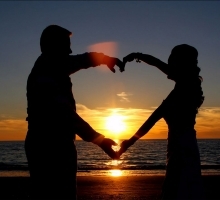 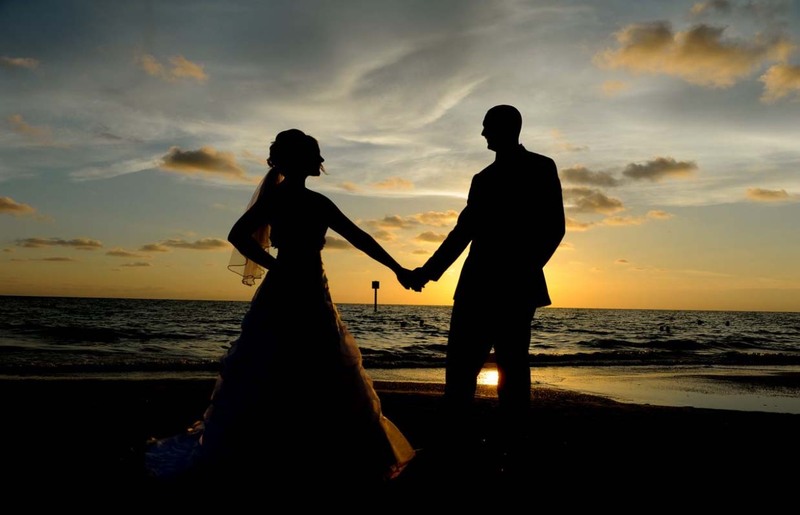 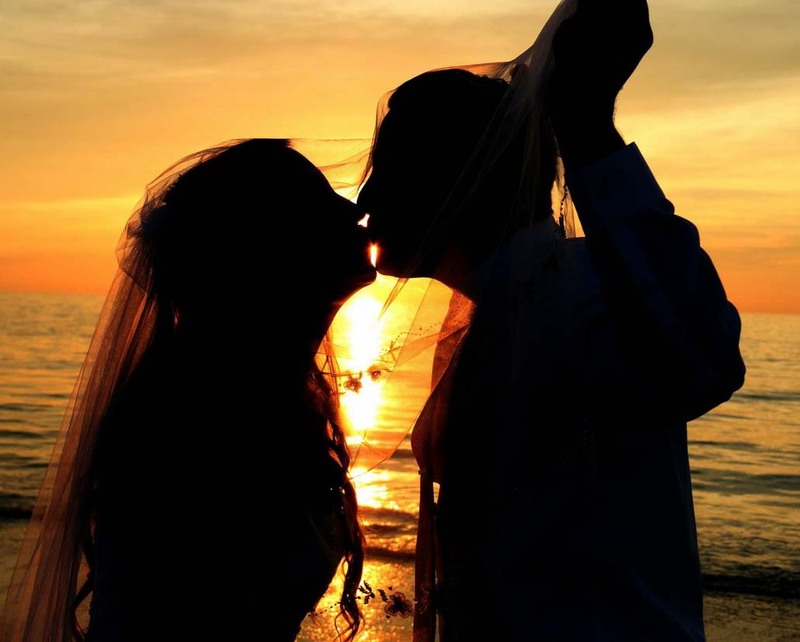 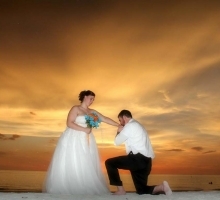 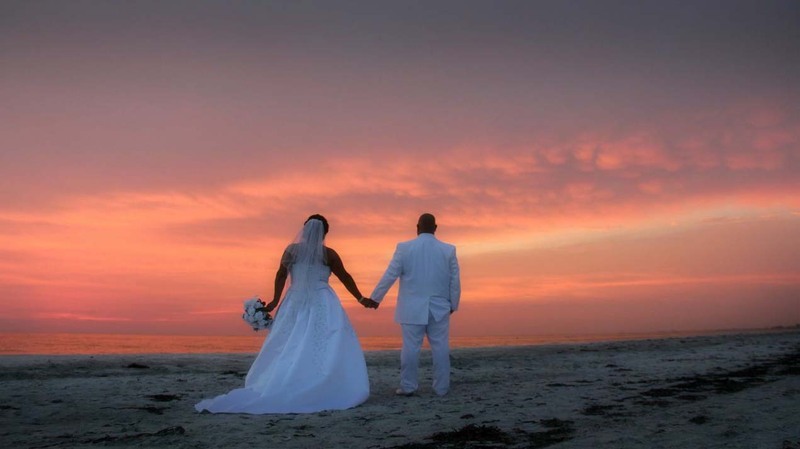 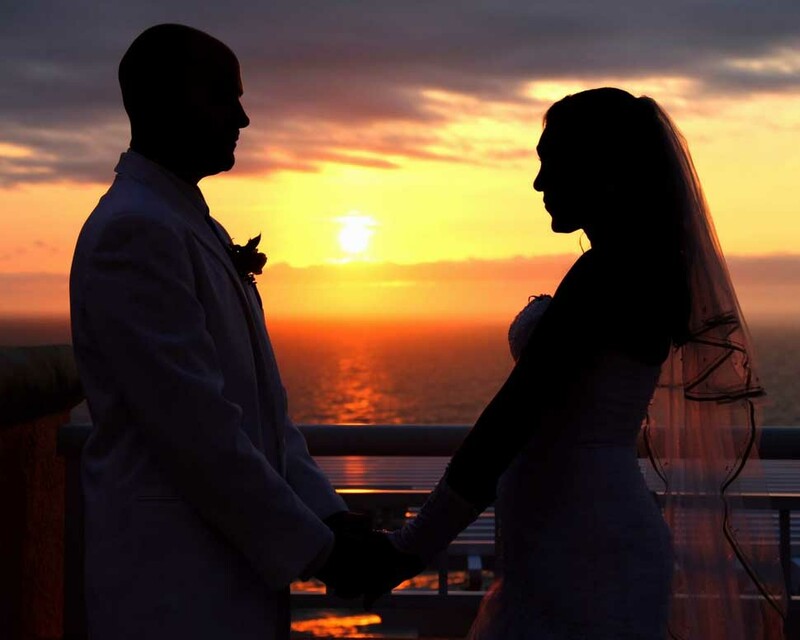 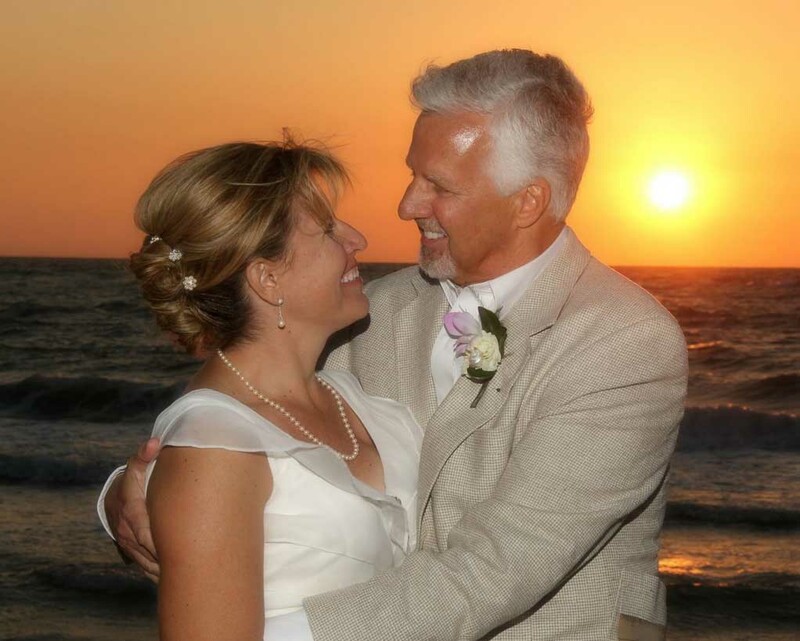 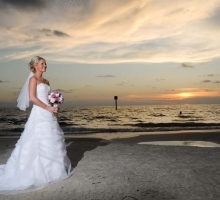 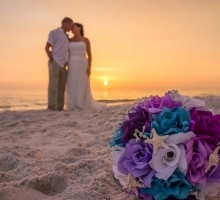 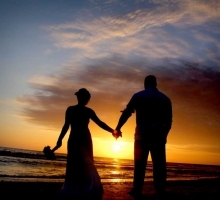 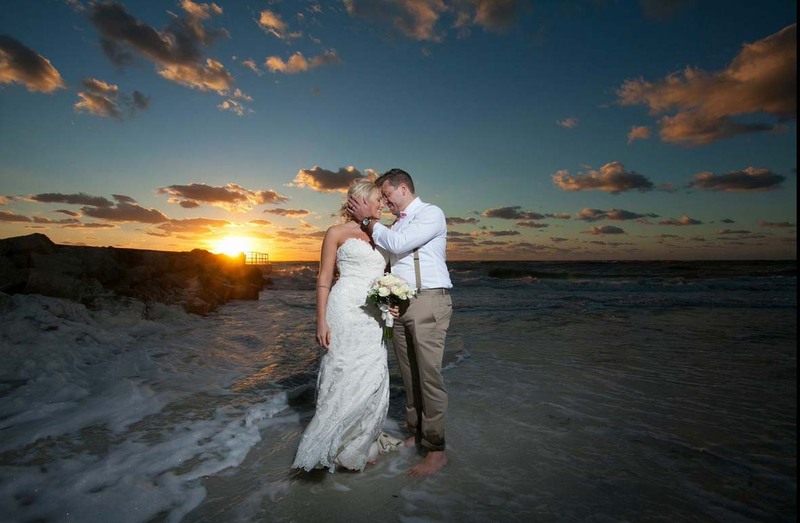 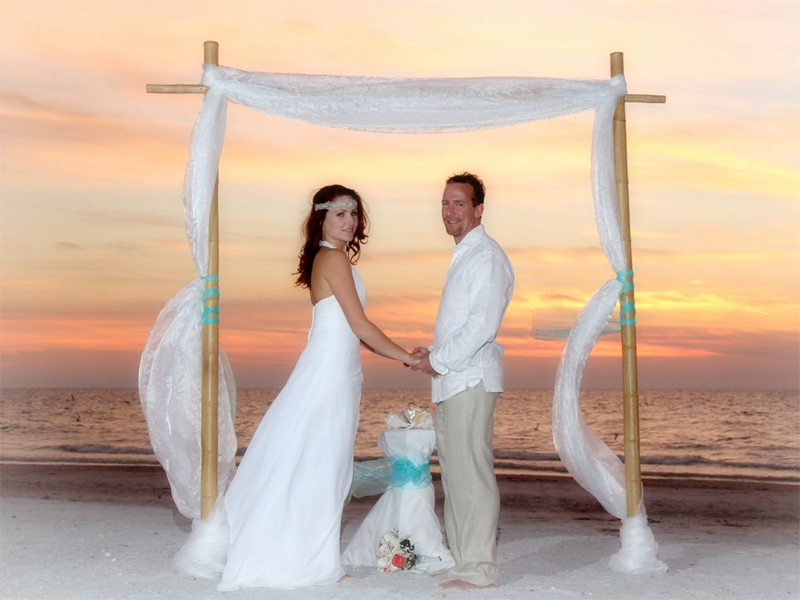 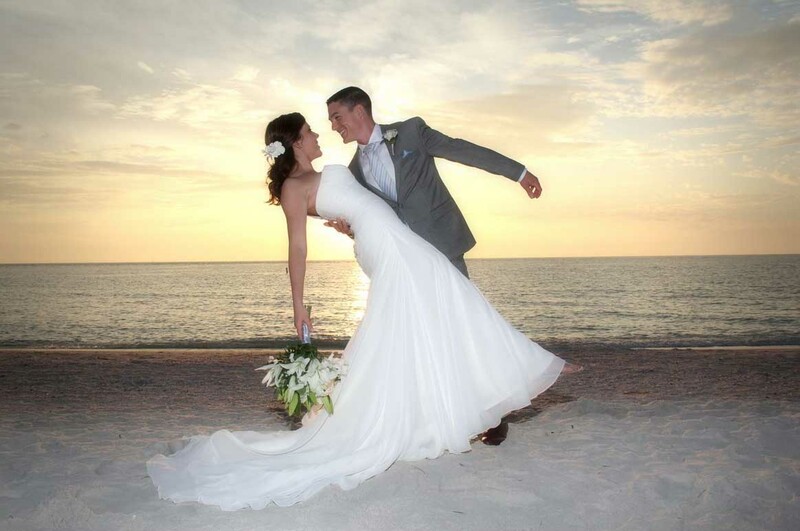 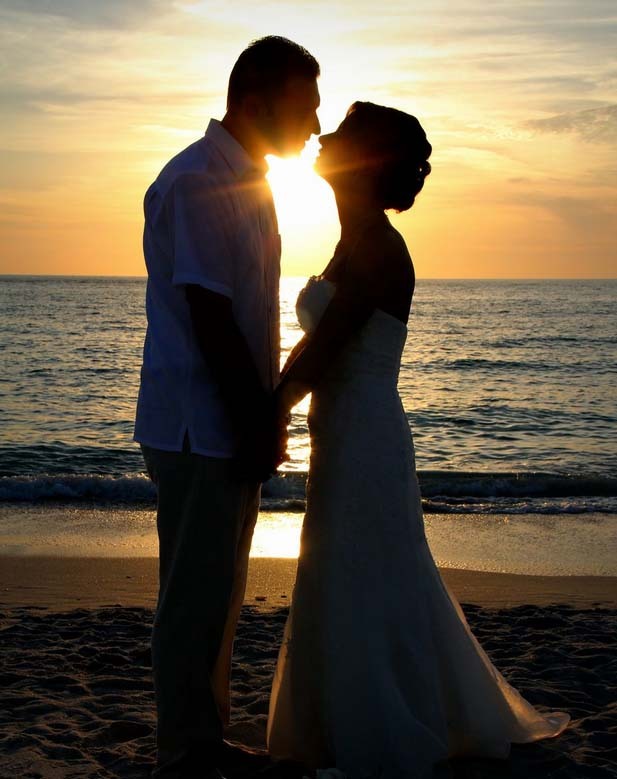 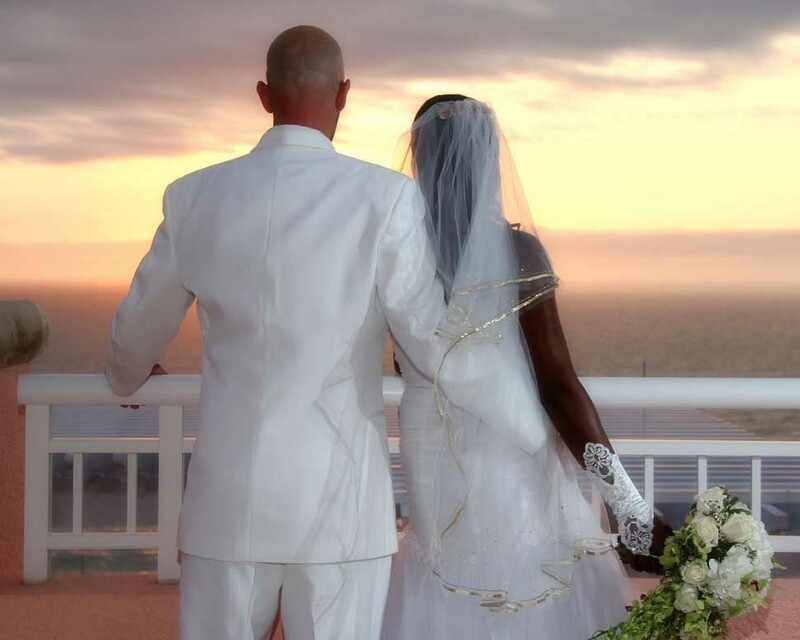 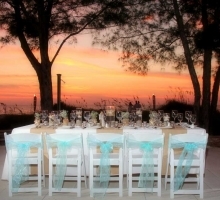 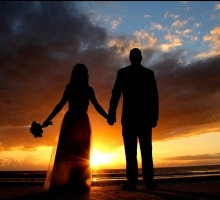 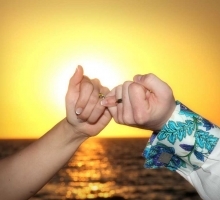 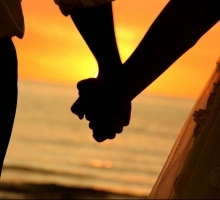 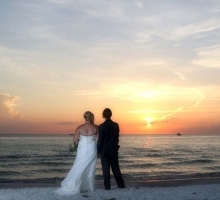 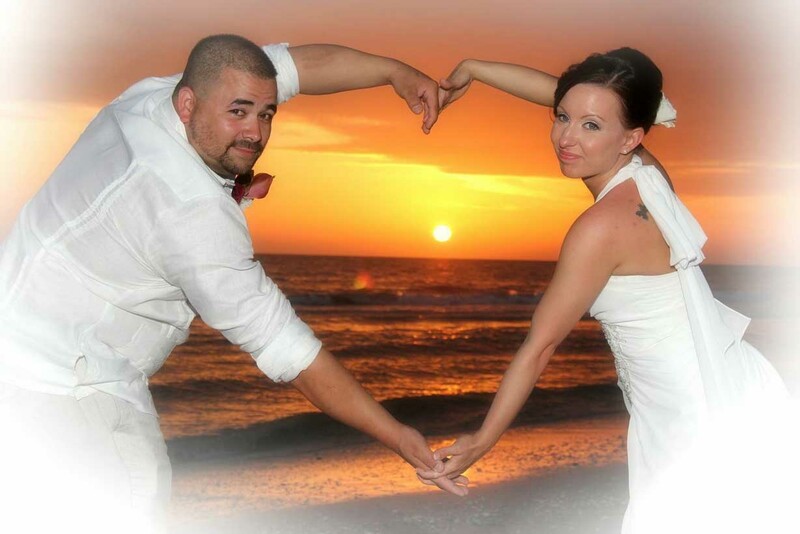 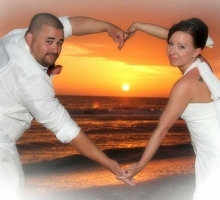 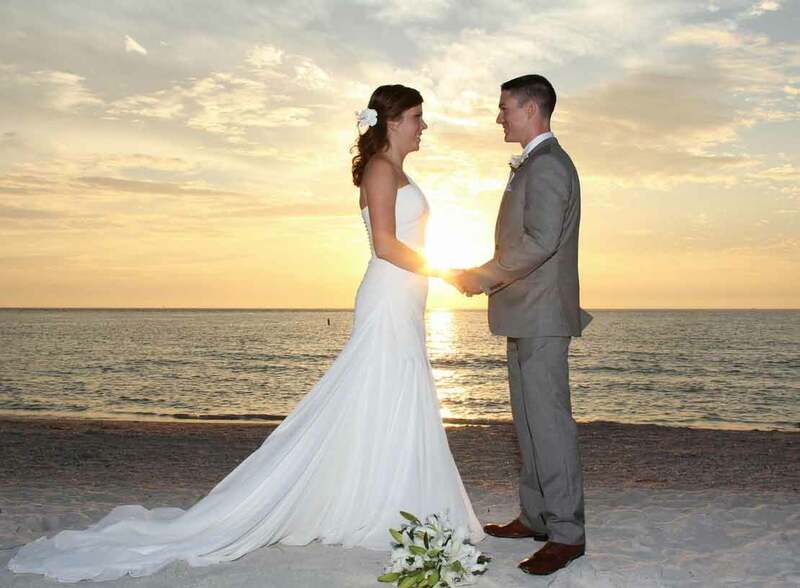 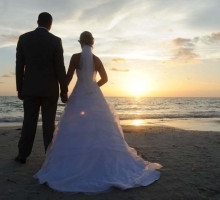 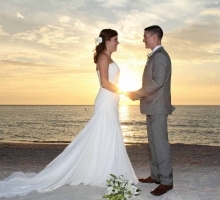 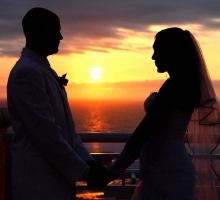 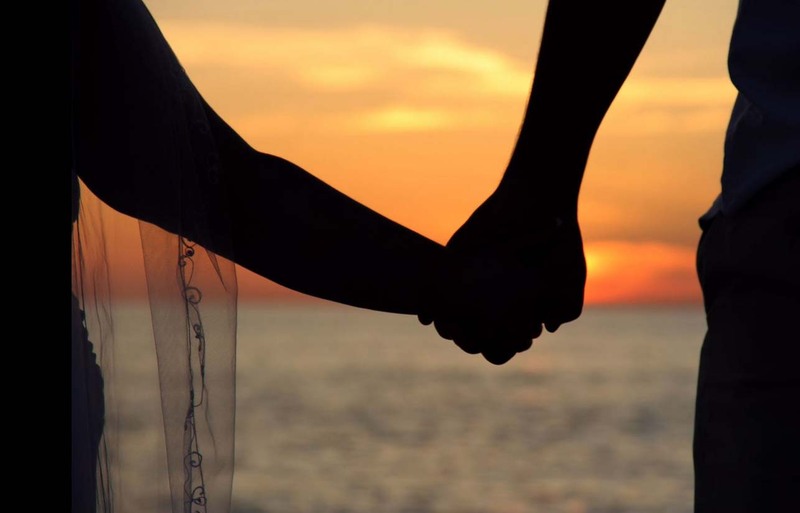 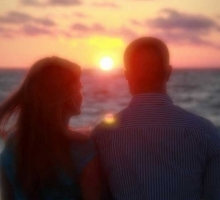 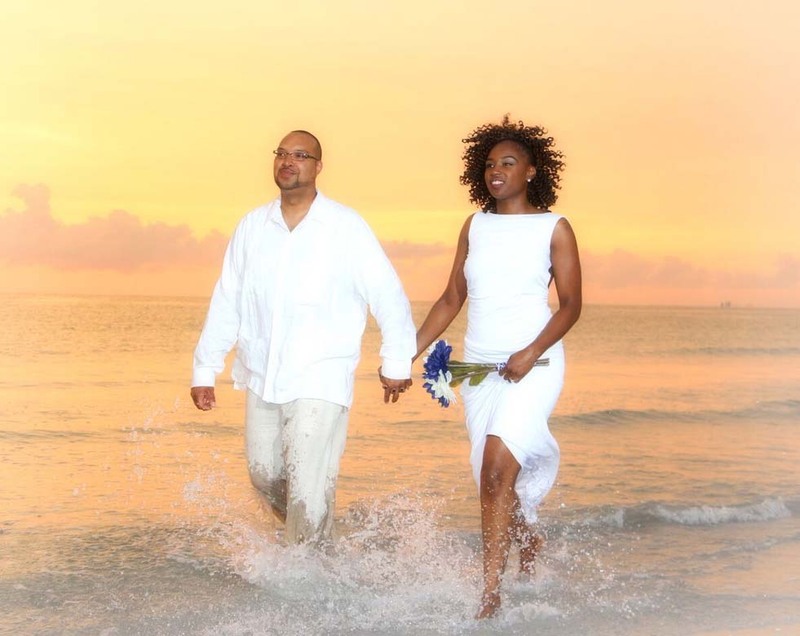 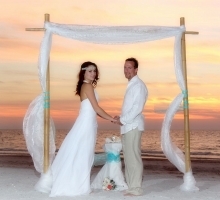 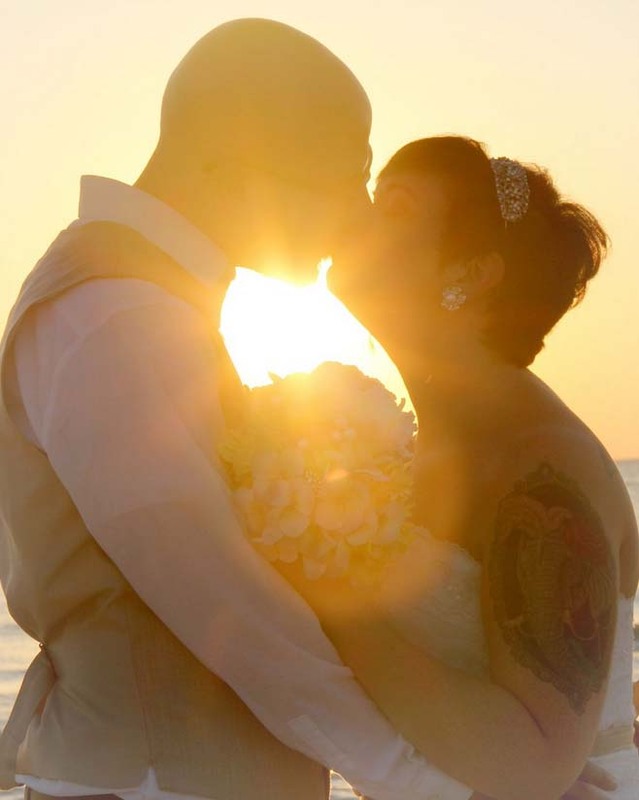 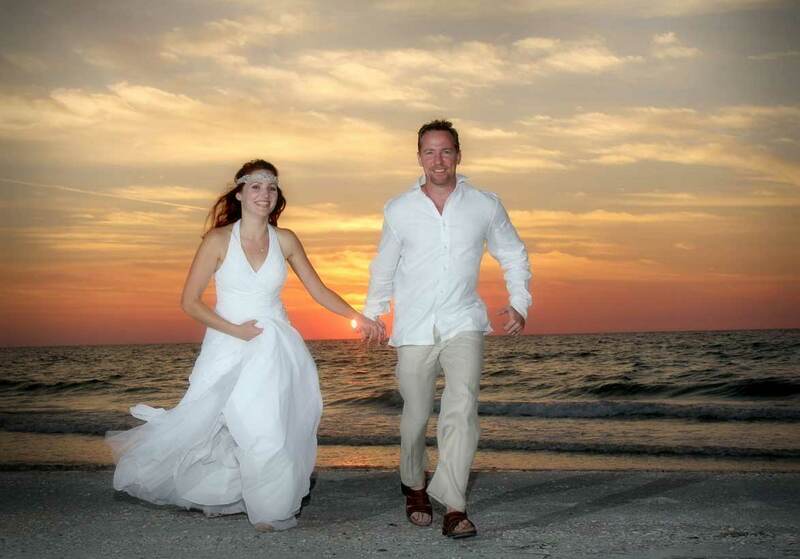 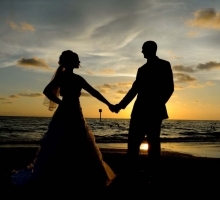 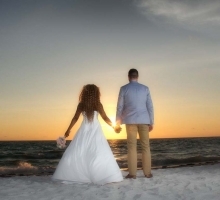 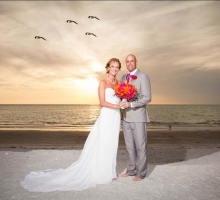 At Suncoast Weddings, our most popular time of the day for weddings and vow renewals is one hour before the sun sets. 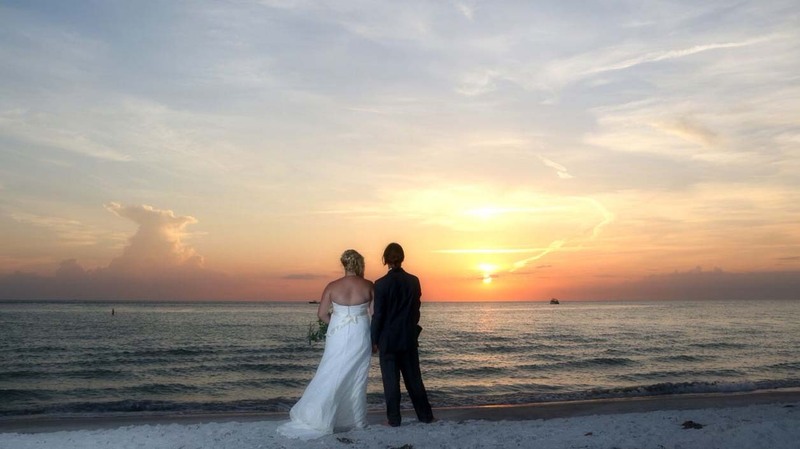 A wedding in the morning is great too, when you have the entire day afterwards to party and celebrate, but there is something magical and inherently romantic about watching the sun dip down over the Gulf of Mexico. 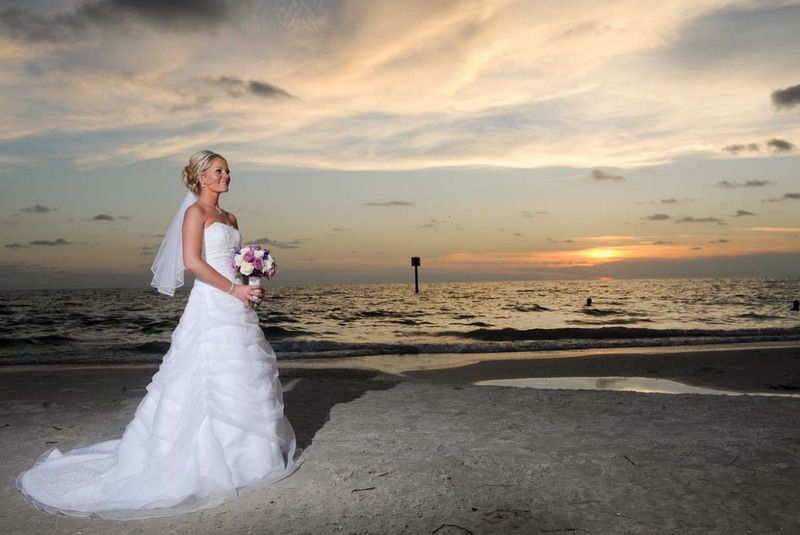 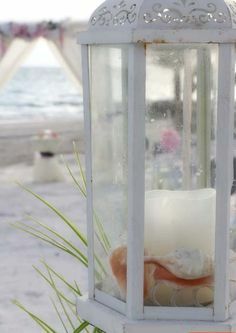 It becomes your sunset Florida beach wedding. 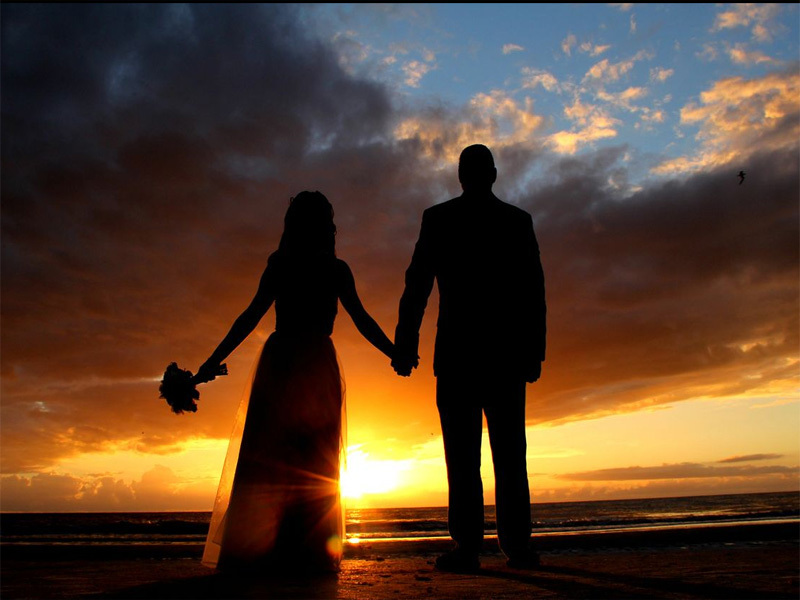 The skies light up and it is a time to reflect on the day together. 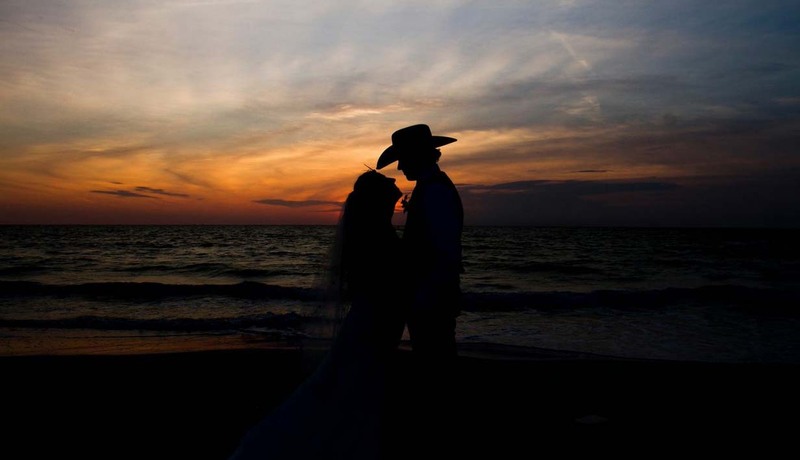 Some of the most beautiful portrait photographs are taken at this time and we have chosen some of our favorites in this gallery. 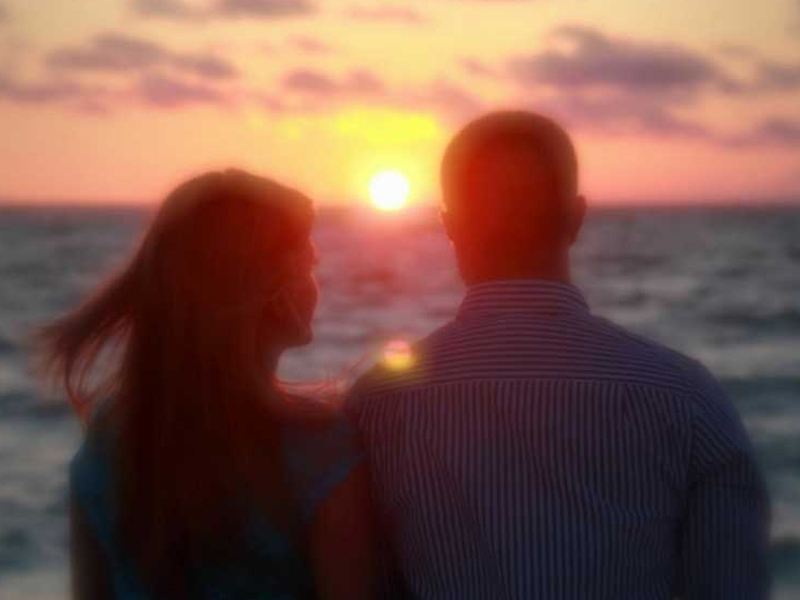 Some people like sunrise, and some like sunset. 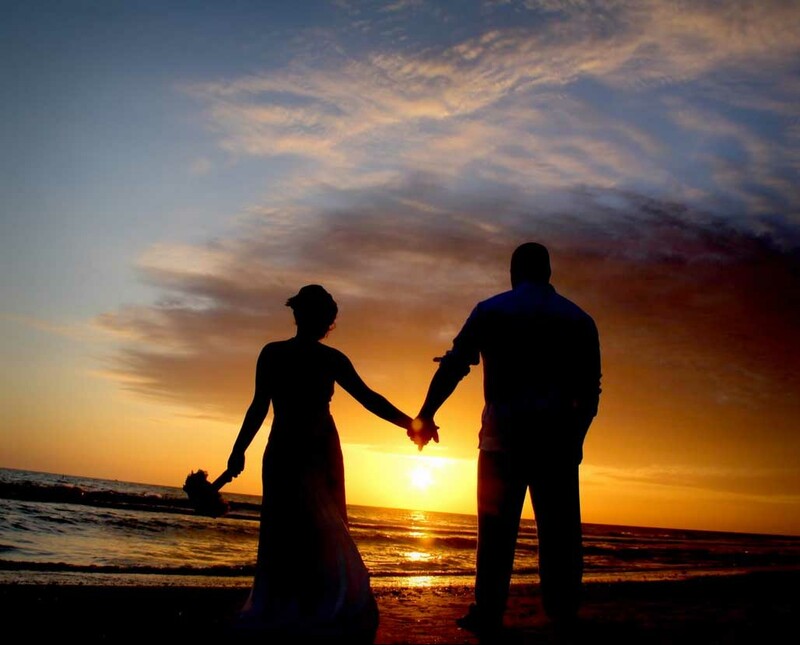 In this part of the world, nature's splendor can be regularly seen as the sun sets. 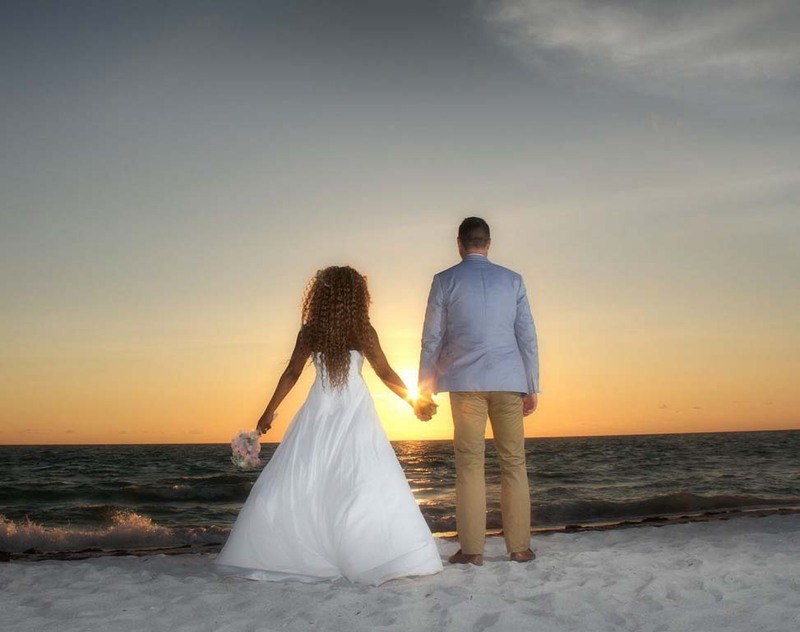 Some say they can see a 'green flash' at the moment the sun disappears over the horizon and tourists here go on sunset cruises to watch dolphins frolic and play - we have the pleasure of watching our newly wed couples enjoy a spectacular vista, hand in hand. 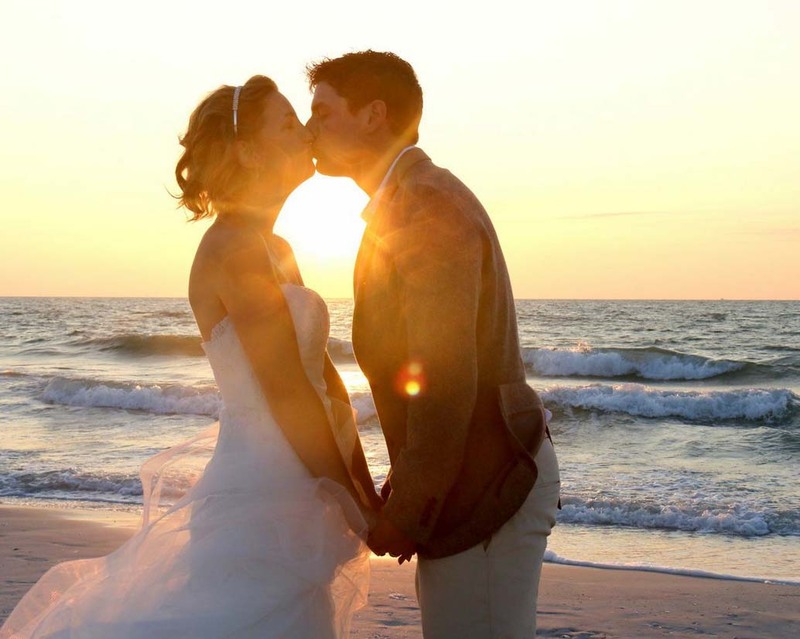 As the sun sets and you embark on your new life together, these are the moments to cherish forever. 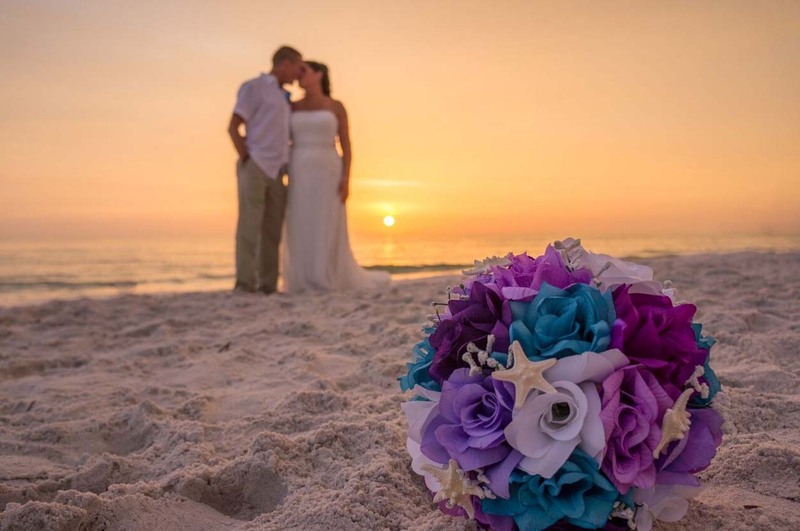 All of the beaches around here can boast beautiful scenery and even after years, locals still stroll down to the water's edge to catch the last few moments of sunset - it never loses its magic and charm. 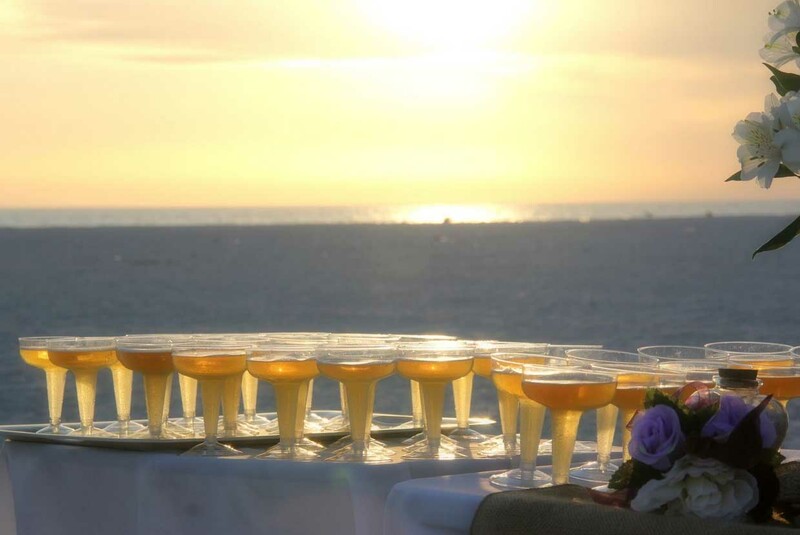 Come and experience it for yourselves.